From high-traffic to heavy-duty applications, our Commercial Door and Gate Operators work 24/7 to keep your business running smoothly. Our entire commercial line is UL 325-compliant and customizable to meet your specific needs. Custom Solutions Built for Any Commercial Application. LiftMaster’s® Custom Solutions are integrated packages, assuring seamless integration of a motorized Commercial Door System. 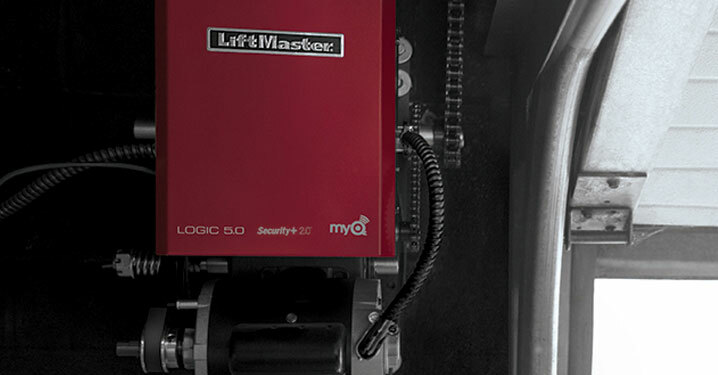 The combination of advanced technology, features and accessories provided by LiftMaster simplifies the process of determining the best solution to meet your specific application. LiftMaster understands your primary concern is to provide the highest level of customer service. Cars waiting to gain access to the service area may take you away from helping a current customer. Imagine being able to open and close your commercial bay doors without having to walk back to the service counter. LiftMaster understands there are times when you need to provide access to your business that are not convenient. Imagine being able to open and close your commercial door for a cleaning crew or your own employees requiring access afterhours, allowing you to enjoy dinner with your family. LiftMaster understands your biggest concerns are the potential for theft of expensive life-saving equipment and vandalism while you’re away from the firehouse. In addition, costly repairs and re-certifications after driving through a door create unplanned expenditures and time consuming paperwork. LiftMaster understands your primary concerns center around safety, security, convenience and energy savings in your warehouse. Imagine being able to see which of your dock doors are open or closed without being in the warehouse.